The Transcend Sleep Apnea devices now come in three models. The traditional Transcend with constant flow; the Transcend EZEX with pressure relief on exhalation; and the Transcend AUTO that continually monitors your breathing to adapt to your changing therapy needs plus pressure relief on exhalation. All Transcends are the same weight and size. The Transcend EZEX and the Transcend AUTO have a reduced decibel rating of 26.6 dB. Learn more about the features and benefits of the Transcend Sleep Apnea devices below. Take a few minutes to review the features and benefits of the Transcend CPAP. A picture is worth a thousand words as to the size of the Transcend. The Transcend Sleep Apnea Systems are ideal for travel; vacations; outdoor camping, fishing and hunting; and for people on the go. 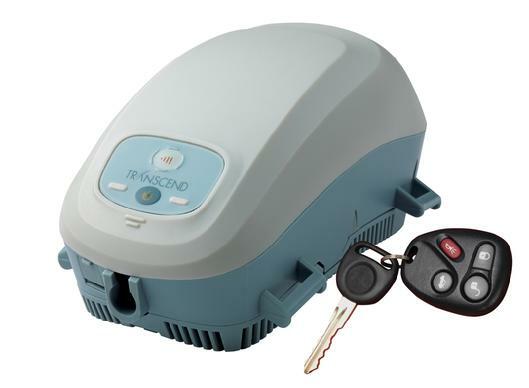 At $449.99 the Transcend starter system gives you the freedom to conveniently travel anywhere at anytime. At a MSRP of $499.99 for the Transcend EZEX you receive all the benefits of the Transcend plus the pressure relief upon exhalation for additional comfort and ease of breathing during sleep. 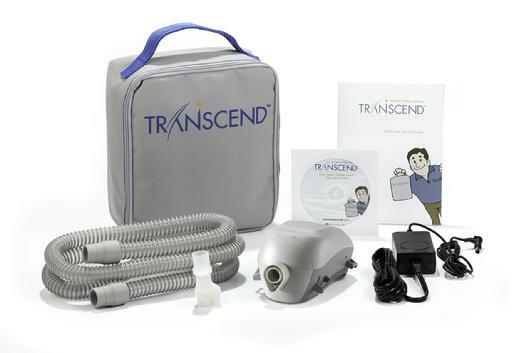 The Transcend AUTO with a MSRP of $529.99 provides for the benefits of the Transcend and the Transcend EZEX plus the added feature of monitoring your breathing and adapting to your changing therapy needs. 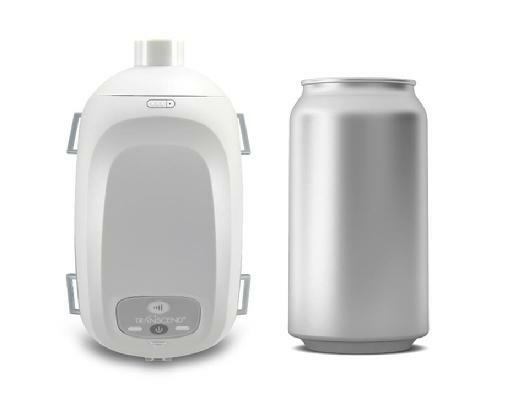 For increased comfort add the Transcend Heated Humidifier for $159.00. Or consider the use of a small Heat Moisture Exchange (HME) that eliminates the need for the bulky Heated Humidifier during your travels. For a complete description of the Transcend Sleep Apnea Systems please go to http://www.mytranscend.com/. Here’s detailed information about Transcend, and the innovative technology that makes it the ideal Sleep Apnea System option for home and travel. Lots of people are talking about the most innovative small, light, and portable PAPs in the world. The Transcend Sleep Apnea Therapy System has patented features and flexibility that no other CPAP on the market can match.